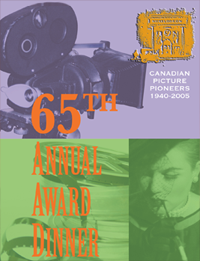 The students listed below were selected to receive awards from the 2018 Canadian Picture Pioneers Student Assistance Program. 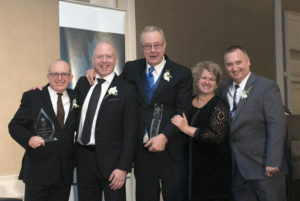 The 2018 Canadain Picture Pioneers Award Recipients were announced during ShowCanada. We congratulate all of the below recipients for their dedication to help support others in our industry community. Please joins us to help honour all of the above recipients at this year's Awards Dinner which will be held November 15th at the Westin Prince Hotel, Toronto. Another great Awards Dinner finished, thank you to everyone who attended and especially our Event Sponsors. This year's recipients, from left to right. 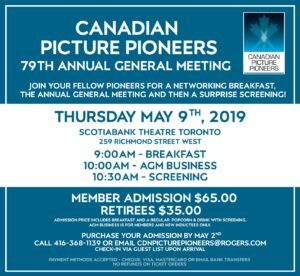 Executives and Members of the Canadian Picture Pioneers last week attended an international conference on the history of the industry at Ryerson University. The Pioneers attended to screen for conference members a video presentation of the Canadian Picture Pioneers Video Project.